If you have ever lived with another person and come home to find them in a bad mood, how long did it take you to figure it out? Hours? Minutes? Seconds? Most people say “seconds,” and some can tell before they even enter the same room. That’s how children feel when they enter your classroom. They can tell within a minute or so whether they will like it or not. Research says within the first five minutes, but I think it’s faster. 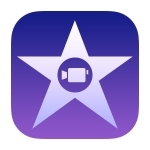 To help your students use iMovie, or for classrooms without 1:1 devices, Tony Vincent has put together an excellent resource full of great ideas, teaching tips and printable iMovie template PDFs. Use them to help students storyboard on paper as they plan to create their movie magic. ” Trailers are great ways to get audiences excited about upcoming events, movies and books, but how about creating hype for your lesson?! Ms. Lee, one of BPE’s awesome art teachers decided to do just that! She created this iMovie trailer to prepare her students for an upcoming lesson on contour lines. After she played the trailer, kids were totally hyped to draw using contour lines! Who wouldn’t want to draw a shoe after that kind of intro! ” See Mrs Lee’s iMovie introduction to contour drawing here. If you liked this article, see this post which includes lesson ideas and a full gallery of abstractions as one representational image is transformed using apps in workflows.